BOSTON, M.A. – June 20, 2017 – Stephan Schambach, founder and CEO of Mobile Retail Platform NewStore, is releasing a new book, Makeover: How Mobile Flipped the Shopping Cart (and what to do about it!). The ecommerce pioneer has put pen to paper to detail the head-to-toe makeover required for retail to engage and succeed with today’s mobile-obsessed consumer. The book is for anyone seeking an understanding of how mobile has disrupted retail, and how it will build stronger relationships between brands and consumers. Schambach provides “how to” advice for those ready to embrace flipped customer expectations, including how mobile can enhance the in-store experience. 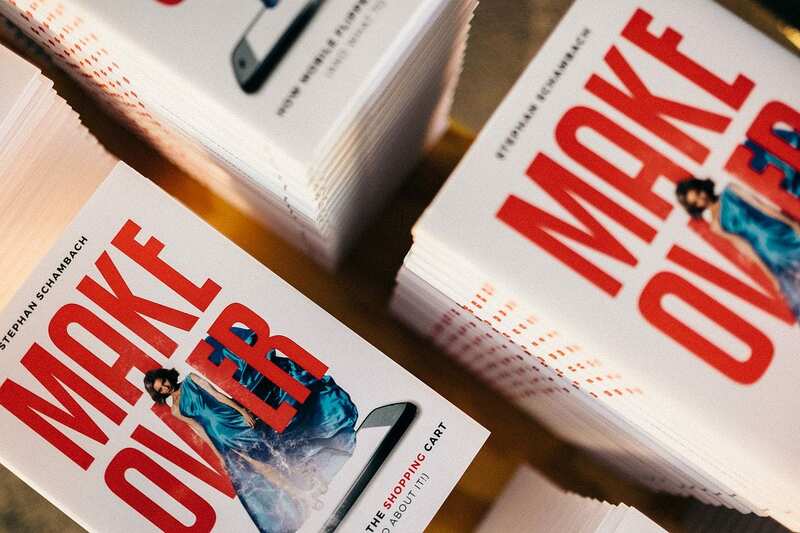 Makeover: How Mobile Flipped the Shopping Cart is a deep dive into how mobile is completely upending commerce, changing the way consumers interact, store associates do their jobs, and brand headquarters manage the complex web of retail relationships. The book outlines specific advice for transforming a retail business to succeed in today’s digital age, recognizing that for the next generation of shoppers, purchasing on desktop is passé. “Every aspect of the business, every relationship a retailer has, must be reexamined, reconfigured and reintroduced. Retail must transform for the mobile age. And this will mean much more than shifting channels or upgrading software. This book provides an explanation of the change that is sweeping the retail industry and, more importantly, a roadmap forward for those ready to embrace the transformation and forge new relationships for the mobile age,” Schambach says. Stephan has accurately forecasted the trajectory of commerce for several decades. He’s founded three successful commerce ventures and uses experience and knowledge gleaned from his career in Makeover. Each chapter focuses on one major transformational aspect of retail; how it has changed over time and how it should evolve to thrive in the mobile age. The book hones in on the massive missed opportunity for brands to fully engage with consumers. In a mobile-first world, today’s retailers need a ‘seamless’ transition from mobile to in-store experiences. The hardcover of Makeover: How Mobile Flipped the Shopping Cart is available for purchase on Amazon. The digital book is available for purchase on Amazon, iBooks and Nook. ISBN: 978-0-9980150-0-2. The NewStore Mobile Retail Platform empowers brands to deliver an extraordinary end-to-end shopping experience for consumers. Built entirely from a mobile perspective, it integrates with existing ecommerce platforms such as Salesforce Commerce Cloud, SAP Hybris, Oracle ATG, and Magento. NewStore raises the omnichannel bar with one-touch purchase, scalable clienteling, and on-demand delivery — all optimized for the small screen. Founded by Stephan Schambach, creator of Demandware (now Salesforce Commerce Cloud), NewStore boosts conversion, promotes engagement, unifies online and offline, and modernizes fulfillment. In his first book, Makeover: How Mobile Flipped the Shopping Cart, Schambach examines the web of retail relationships that are impacted by the advent of mobile technology and provides a how-to guide for retailers looking to capture the hearts and wallets of today’s mobile obsessed consumer. NewStore is headquartered in Boston. For more information, visit www.newstore.com. Copyright © 2019 NewStore. All rights reserved.